Not yet famous, Elvis Presley demonstrated his power to drive hundreds of teenage girls into delirium during a show at something called the Gator Bowl Baseball Park in Jacksonville. 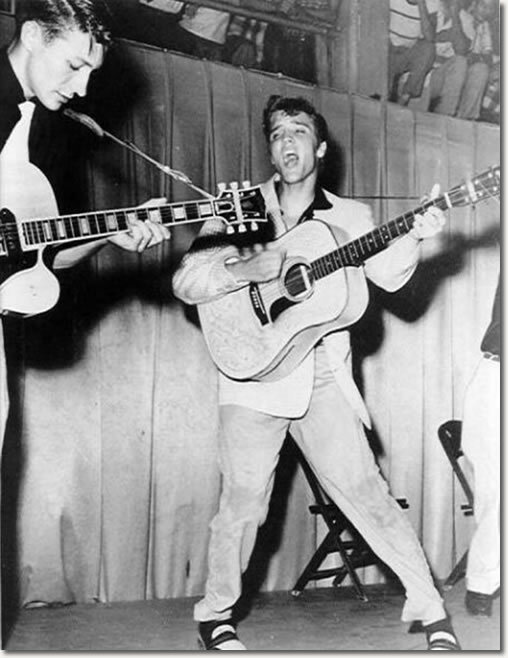 At this point, Elvis hadn't yet appeared on national TV or had a number one hit but did have a record on the country and western chart. During the performance, Elvis teased the screaming girls by saying he'd "see them backstage after the show," prompting a mad rush toward the stage and a riot that spilled into the streets. A group cornered the singer in his dressing room and tore his clothes off in their competition to grab a souvenir. Elvis had to be rescued by police from what has become known as the "first Presley riot." This was also the show that caused Col. Tom Parker to realize Presley's potential and sign on as his manager/agent/overlord. 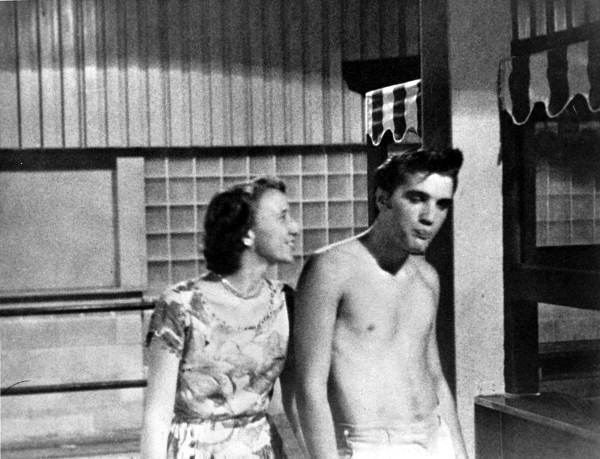 Elvis spoke of the "riot" in a 1956 interview: "Mom and Dad still haven't gotten over all this hoopla about me. Mama was down in Florida once when the girls mobbed me and she was afraid they were hurting me. "Shucks, they were only tearing my clothes. I didn't mind a bit. I told her, 'Mama, if you're going to feel that way, you'd better not come along to my shows because that stuff is going to keep right on happening' -- I hope." 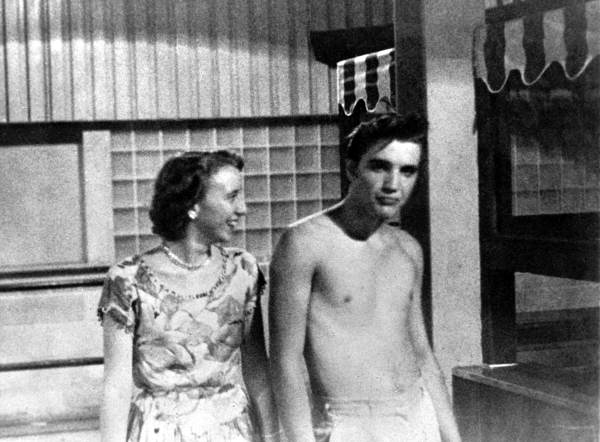 The photos below, of the singer and a fan named Ardys Bell, are identified on the Florida Memory site as taken after fans tore off Elvis' shirt following a show in Jacksonville on May 12-13.